We know that people can get comfortable and complacent working for someone else, but when a salon environment becomes toxic and the salon owner/manager isn’t willing to invest in your future, it’s time to make a change. 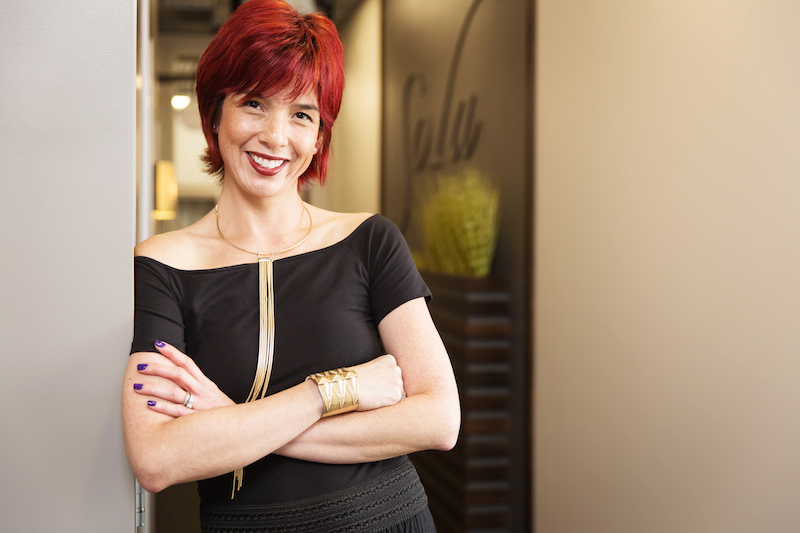 Case in point for Sue Scott, Owner of Wisp Salon in Alexandria, Virginia, who went with her gut instinct and took a leap of faith. She shares her story, some tips on how to keep clients excited, and some things to keep in mind when you’re giving your next client consultation. 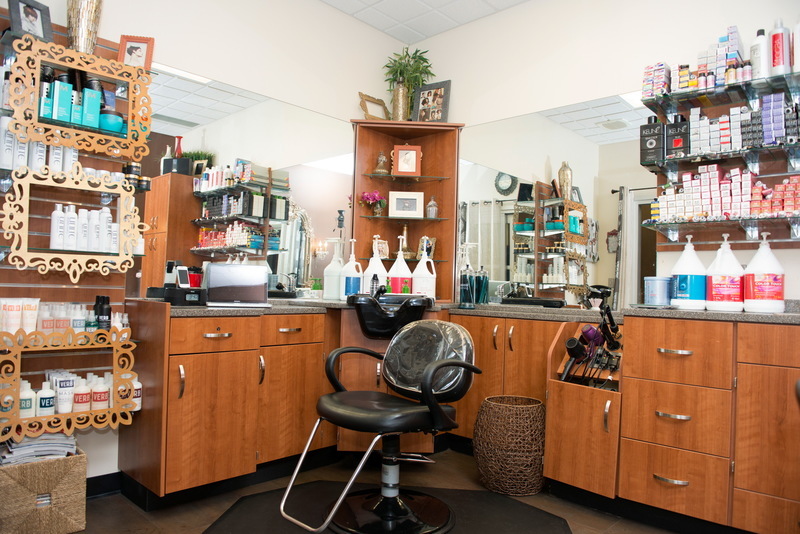 How do you make your first-time clients feel at home in your home away from home? I welcome the person by name, ask them to take a seat, and immediately offer them something to drink so they can get comfortable and feel welcomed. It comes down to also the consultation and making sure I’m speaking with them and we’re eye-to-eye, making eye contact, looking at photos, and engaging. I’m not looking at them in the mirror. I’m looking at them straight on—at their face. I also like to restate the consultation before I even begin. Repeating exactly what we just discussed so that they know I have just listened to everything they said and asked for. If they are asking for anything to be cut, and state a specific length, like “cutting an inch off,” then I have them show me what they think an inch looks like. 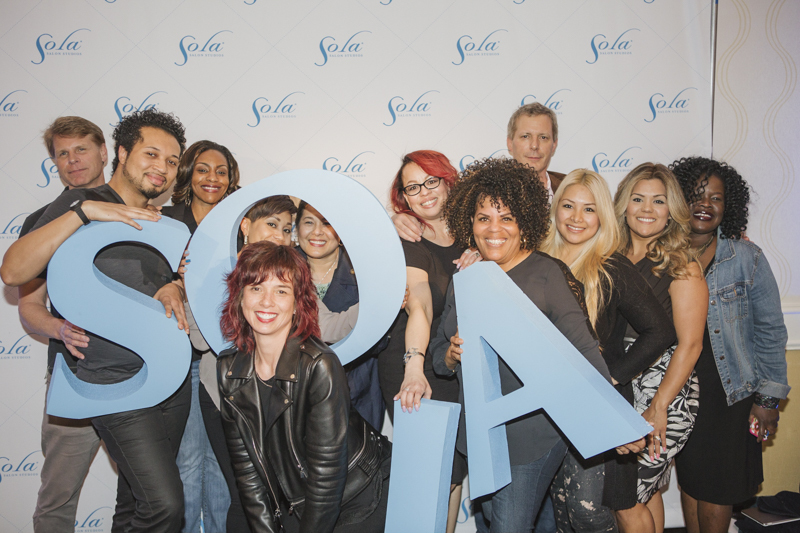 Your Sola location does a lot of business-type of seminars and workshops and that you moderate. What are some obstacles and topics that people are experiencing and bringing up on a recurring basis? Okay, so tell us, how do you book solid and stay so busy?! [Laughs] I say you have to stay consistent and you can’t get comfortable with your clients. You always have to keep them excited about sitting in your chair. Stay professional. Be professional. Always remain honest with them. How are you keeping your own clients excited? I always, always talk to them about the work-related trips I’m taking or the classes I’m taking. I share with them before I go that I’ll be attending a workshop or class, and then when I return and they sit in my chair, they are excited to ask me what I learned and what kind of information I brought back with me because they want to know if it can be done on them. Will it help come up with a new look for them or inspire me to change something during their next appointment? This builds excitement and also trust. Clients get bored, especially if you’re doing the same thing as last time. They may not want that! My advice is this—be excited all the time, even if you’re not! What were your goals for 2017? My goals were to double my income, to stay booked solid, and to also start my own consulting company. Ooooh, let’s talk more about that! [Laughs] It’s to help hairdressers, those in a studio setting, to be successful with what they’re doing. Helping them get started, staying booked solid, and giving them some additional guidance. 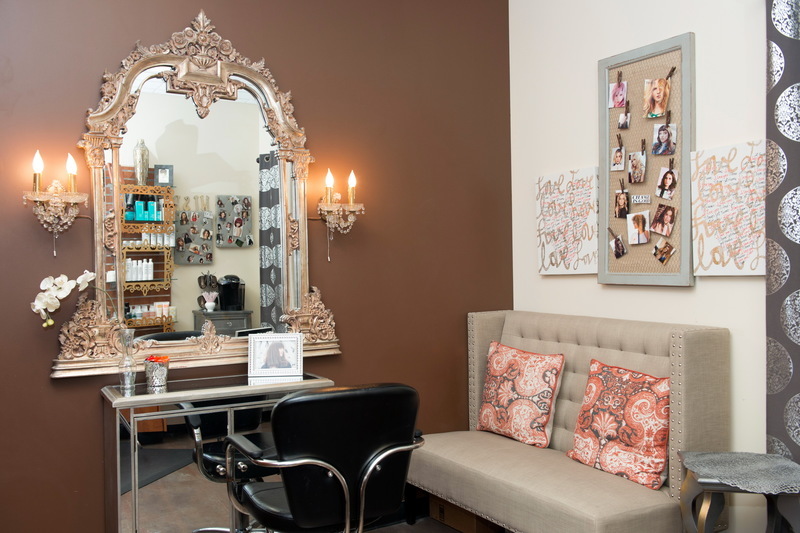 When you leave a commissioned-based salon and become a studio owner/booth renter, you are now more than just a hairdresser; you’re a business owner. You have to apply a whole different attitude and outlook on it, and some people just don’t know how to do it. For example, how to stay organized, how to run your numbers, finding the right credit card processing company, even setting up a simple IRA for retirement. There’s so much stuff you should know that you need to know. You are now a one-person show so how do you do all that and make sure it’s all done. This consulting business is what I’m in the process of working on now. It’s in the beginning stages. Safe to say this is a carry-over goal for 2018? Oh absolutely. I need to get my website up and then put my marketing plan together. There’s a lot of work but I know what I want to do with it. What moment or decision has made the greatest impact on your life? When I came to Sola about 3 ½ years ago. It completely changed my life. It’s probably one of the best decisions I have ever made as far as taking a leap of faith and trusting my instincts and going for it. That’s when you really know what you’re made of when you take chances and risks. At that point in my life, I was already behind the chair for 17 years and had always worked in a salon for someone else, surrounded by it all—the people, the other stylists, all the drama, and whatnot. I got tired of it. Completely tired of it all. From working hard and not really getting anything for it at the end of the day and not working with and for people who were positive. It was completely exhausting. I got tired of it all and knew I had to make a chance. That’s when my journey with Sola began. Since I’ve been at Sola, I’ve doubled, and now even tripled my income. I am able to help my community out, give back to others, and I’m surrounded by other stylists in my location who want to help each other out and grow. That’s what it’s all about. 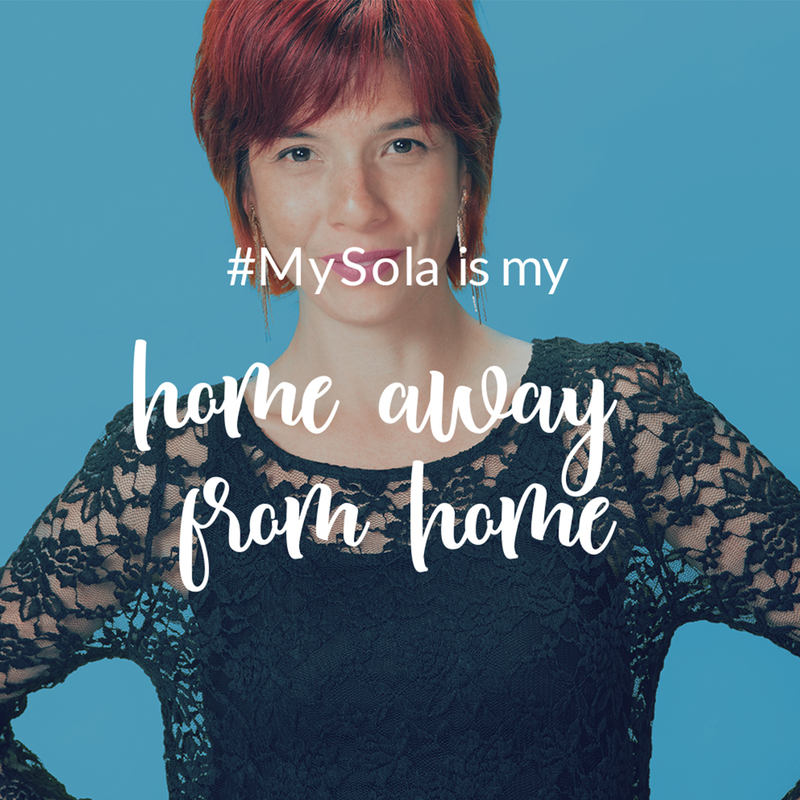 You mentioned that Sola “changed your life.” Did it change more than just your professional life? Absolutely. I’ve grown so much more since I’ve been here. Being able to double and triple my income has given me the opportunity to buy my own home, expand my education, and take classes that I’ve always wanted to. I’ve been able to learn more about myself and discover what I’m passionate about—helping others, giving back, teaching people how to be more successful. What is something you learned early in life that you’re still applying and using today in your adult life? Definitely to work hard, stay positive, and make it happen. I always saw my mother and my aunt doing this day in and day out. Especially my aunt, because she owned her own hair salon and had to get up every day and go make it happen. This is a hard business to be in. You have to have a strong backbone and be confident in what you’re doing. You have to work hard if you want to be successful. When you come from nothing, you have to create your own. It’s part of the American Dream, right?! So…rumor has it you used to be a Ford model. Let’s talk about that. Oh Gosh..that was so long ago! This was back in the ‘90s and at the time I was living in Virginia Beach. I kept hearing, “You should be a model. You’re so tall and skinny and exotic looking.” My sister took some Polaroid pictures of me and I sent them into all the agencies—New York, Miami, Los Angeles, and Chicago. 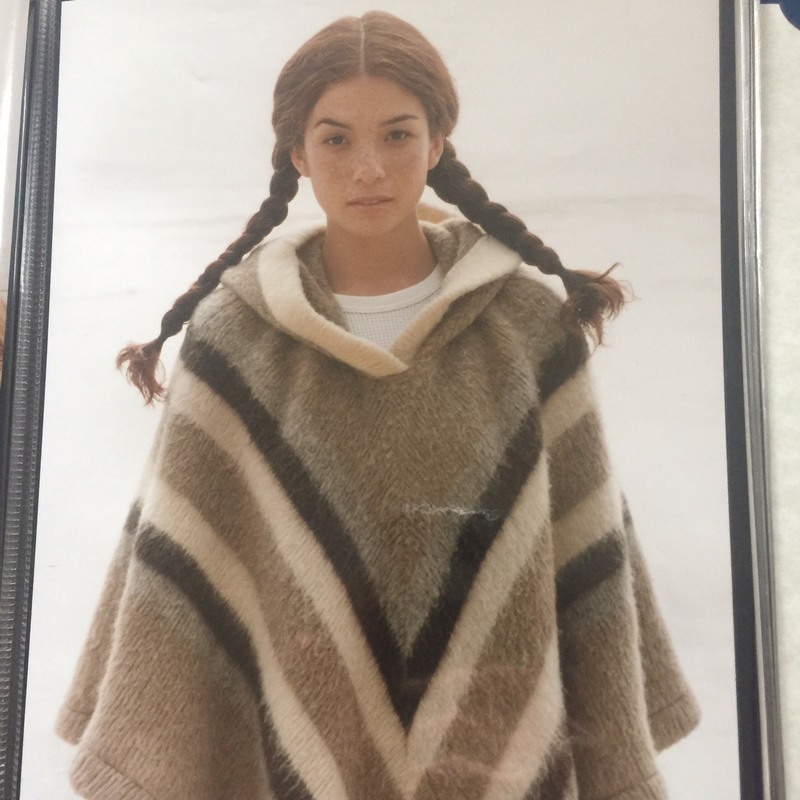 And this is back in 1996, and there really wasn’t much Internet around that time, so I had to go to Barnes & Noble and get a book that had a listing of all the top model agencies in it. I did this huge mail-out to all the agencies with a ton of photos in each one. I got 10 rejection letters and 3 call-backs—two in Miami and one in Chicago. So I flew to Miami, met with Ford, they signed me, and then took a chance and moved to Miami to be a model. 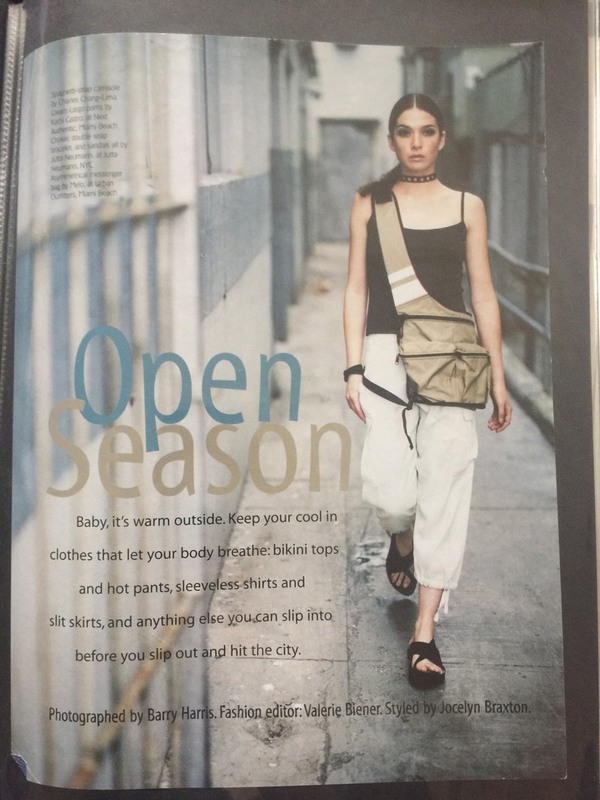 Now, at this time, don’t forget, I had my cosmetology license, so I got a part-time salon job down in Miami because I knew I had to have some money coming in while I pursued modeling full-time. I was 18 years old. I packed up my entire life and did all this on my own. It was a rollercoaster ride for sure. It was a very beautiful industry, but also a very ugly and shallow one at the same time. I did this for about seven years until my mom got terminally ill. I moved back to help her, stayed with her for about a year until she passed away. My aunt was actually a hairstylist, and she was a big influence in my life. I knew I wanted to do this and be like her and become a hairstylist just from watching her. My mother also went to beauty school and seeing her try to pursue the dream as well made me want to go this route and go to beauty school myself. At the age of nine, I knew exactly what I wanted to do and be when I got older. That’s where it all started, honestly. When I got to high school, I pursued vocational training during my junior and senior years. I would spend half the day at high school and then the other half of my day at beauty school. By the time I graduated high school, I had all the training and hours to go stand behind the chair. I knew early on I always wanted to surround myself with good people—people I could grow and learn from. You have a 4-½-year-old son. With everything you know about the professional beauty industry, and being someone who was influenced at a very young age to enter into it, would you want your son to pursue a career in it when he’s old enough? Absolutely. I would not be against it at all. I’ve said to my husband, “If he wants to be behind the chair when he gets older, I’m cool with it.” It is an awesome industry to be in, but it takes a lot of work and a certain type of person. Some people get into this industry for all the wrong reasons. It really isn’t for everybody. Last question, are you happy, and if so, why? I am absolutely happy. I’m healthy, I have a family that I love and that loves me, and I’m doing what I love. For me, I’m doing more than just doing hair. I’m making people feel good and that makes me feel complete. Knowing that I’ve done my job and people leave happy is everything. I try to wake up positive every single day, and when I’m having a bad day, I always remind myself that things could be worse. Life is too short not to be happy.